Want more evidence that America's economy needs more workers? 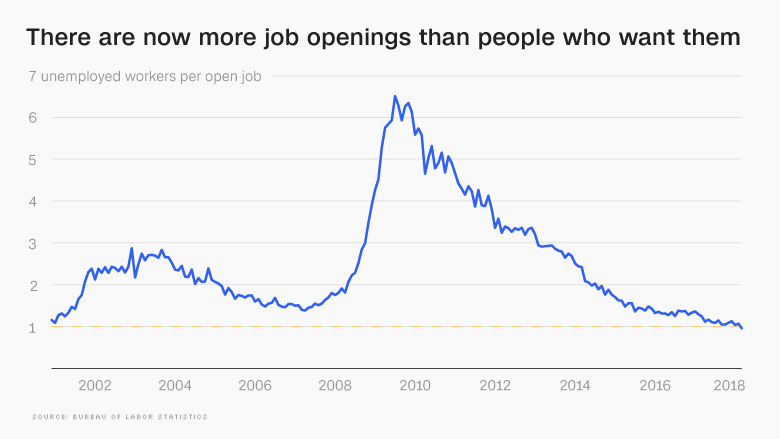 For the first time in at least 20 years, there are now more job openings than there are people looking for work. One of the reasons for this shortfall: The open jobs and the people looking for work aren't in the same place. Also, available workers might not have the skills employers are looking for. 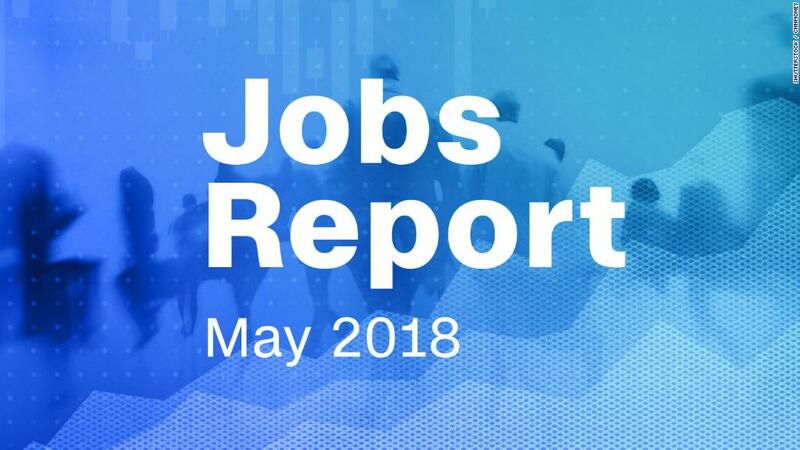 A broader measure of unemployment, which includes workers who haven't looked for a job in the last four months and also those working part-time even though they'd rather work full-time, is still higher than it was in the late 2000s. That means there may still be workers on the sidelines ready to take opportunities that might present themselves. Those sidelined workers might also be waiting for better offers. While wage growth has picked up since the beginning of the recovery, it's still only running at about 3% per year, according to the Federal Reserve Board of Atlanta — significantly below the 5% level it reached in the early 2000s. Low wage growth has puzzled economists, since employers should start paying more as workers become more scarce. It's not clear whether the extremely low worker-to-job ratio will change that.